We often hear about joined-up thinking (though rarely see the results), but this idea defined the work that brand consultants, GW+Co produced for independent broker, Peel Hunt. Their analysis of the company provided a key insight to the way they work. Unlike a traditional broker where departments work individually, at Peel Hunt, Corporate, Research and Sales make joint decisions to the benefit of their clients – joined-up broking. This concept has been worked into the type through the simple idea of ‘parts making a whole’ which lies at the heart of the typeface we were commissioned to create. 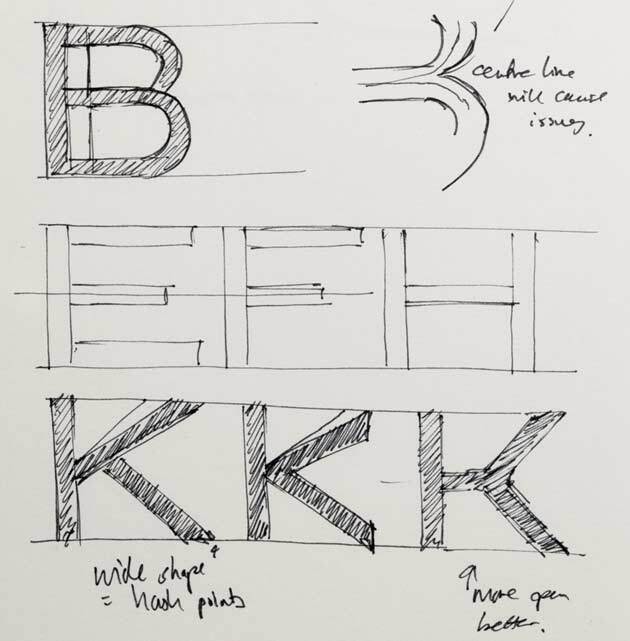 The initial concept letters that GW+Co had developed were used as a starting point. Our process involved making the character set first as complete letters [figs 3, 4]. Next, the centre line was found and used to dissect each letter shape [fig 5]. It was important that the stems had a thickness of an equal value so they could be divided equally. This rule also had to apply to the optical swelling of curved stems. 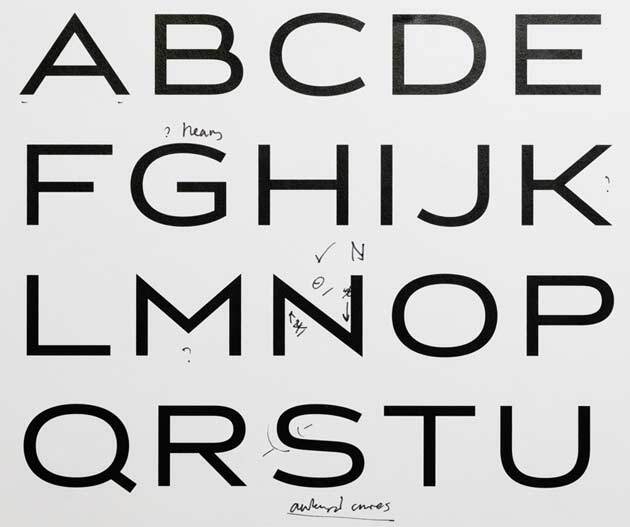 The centre line was then used as an outside edge to each part of the dissected letter. This allowed both parts to perfectly match and lock together to make the whole again. To provide the required corporate styling each part is coloured differently to produce a two-tone effect [fig 1]. We were also asked to design an inline version which could be used in single colour printing. This time the centre line was expanded to two different thicknesses, one for general use and a thicker one for use at small sizes [fig 6]. This idea was further developed to become our Capline typeface published in 2013 .